My husband has been reading Psalm 22 recently which means I get to hear about what he’s discovered. 🙂 I love it. He has written a lesson about it, and I’ve heard it now three times. I still love it. He relates the Psalm to Matthew 27, but not before thoroughly discussing what it must have meant at the time David wrote it. It’s quite a fascinating study, and one I would recommend for everyone! My favorite part of the Psalm (at least today) struck me right in the heart as if I had read it for the first time. The verse wasn’t even pertinent to the study at that moment, but it hit me hard nonetheless. Go ahead, read the 22nd Psalm for yourself. Something else might strike you. David is clearly feeling forsaken (was it because of his first plight with Saul? or was it because of the Philistines? or perhaps one of his sons was out to get him? ), but in verse 3 he writes, “Yet You are holy….” An emphatic statement made by a man who needed to remind himself who God is in the midst of his trials. I would surmise that David wasn’t feeling so certain about many things (whether or not he’d live, who his friends were, his role in Israel) yet he knew this truth about God. It’s a beautiful thing to recall God’s character for the encouragement of our aching, uncertain heart. But this isn’t even my favorite part! David tells us that God is “enthroned on the praises of Israel.” Another way to say this would be that God inhabits the praise of His people or that God dwells in the praise of His people. Can we just pause for a moment and think about what that means?? I love how the Hebrew language is full of imagery at its core. This verse gives us an incredible mental picture of our holy God dwelling inside of our praise. He dwells in our praise! God was on His throne and the temple wasn’t filled with God, it was filled with only the train of His robe! Imagine the enormity of God! The most bottom piece of His robe is what fills the gigantic (to us) temple! The seraphim tell us that the whole earth is full of His glory (which makes sense why only the bottom of His kingly robe would fit inside of a teensy temple). Notice the reference to God as holy (only this time it is emphasized with the triple repetition). David knew God is holy. Isaiah knew God is holy (interesting fact about Isaiah: he refers to God as “the Holy One of Israel” more than any other prophet). The Holy One filled the temple with a piece of His robe revealing that the place was not only completely filled with Him, but it couldn’t even contain Him. Now picture the Holy One taking up the space of our praise. Doesn’t that send chills down your spine? We know God is Immanuel – He is God with us. We know that God made His Son come to dwell among us. We know that when Jesus ascended into heaven, He left His Holy Spirit to dwell in us. This Holy One fills up the space of our lives with Himself. More importantly, He inhabits the praise of His people. What does this mean for us? 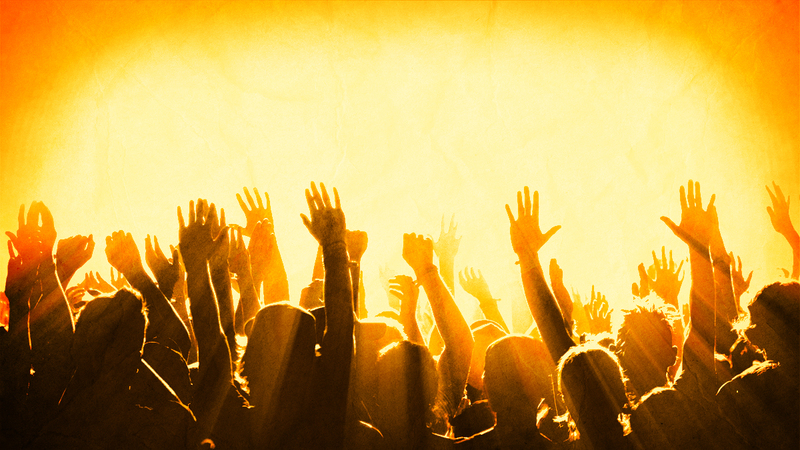 If God fills up the space that our praise makes, how much space is full of God in our lives? It’s both sobering and break-taking. Can you envision the Holy One occupying the space in our churches and homes as we lift up our voices to Him in praise? Can you see Him hovering about in those teensy buildings just as He first hovered over the waters during creation? A sense of anticipation and joy as He readies Himself to give life to His creation. The presence of God is in our midst, and He comes to dwell with us as we pour out our praise to Him. He lives in our praise. How would this change our lives if we really believed it? If God lives in my praise, wouldn’t I take extra care to pour it out? And if I know He dwells in my praise, wouldn’t I want to speak it liberally so that others could see His presence here on earth? How does the mood of our homes and churches change when we are intent on speaking His praise? Only His praise? I have a hunch that my words would not fall to the floor as often if I had His praise in mind. There would be less criticism, less angry words, and more love and grace. May His praise ever be on my lips.